Where are South African rugby's black coaches? You are here: Home ∼ Where are SA rugby’s black coaches? We were told that 2019 would be a landmark year for transformation in rugby. We were told that coaching teams and playing squads would be 50% black, 50% white and 100% selected on merit. Yet here we are, nearing the end of another World Cup cycle and it’s plain to see that the majority of the South African franchises have failed to hit both targets. The future is not much better than the recent past. In 2014, there was one black head coach – Stormers boss Allister Coetzee – as well as two people of colour serving in assistant coach roles across the five franchises. 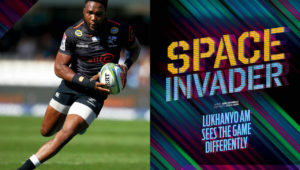 SA Rugby implemented its Strategic Transformation Plan (STP) at the end of that season with the aim of developing more black players, coaches, managers, administrators and referees over a five-year period. 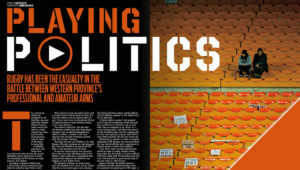 And yet 2019 has arrived, and we find ourselves in a similar situation where there is only one black head coach – Kings mentor Deon Davids – and as few as four black assistants spread across the six franchises. A study of the teams during this period will show how certain franchises have dragged their feet with regard to development. Some of the unions that have performed well on other transformation fronts have fewer top black coaches on their books than before. Now more than ever, the question persists, where are South Africa’s black coaches and why are they struggling to break the glass ceiling? SA Rugby CEO Jurie Roux doesn’t waste any time in getting to the point. Roux is adamant the franchises, rather than the governing body, have failed in this regard. In 2018, Bafana Nhleko and Mzwakhe Nkosi were promoted from the Golden Lions ranks to assistant coach positions at the SA U20 and SA Schools sides respectively. Renfred Dazel is on the Blitzboks coaching team, while Paul Delport is at the helm of the Springbok Women’s Sevens side. SA Women’s coach Stanley Raubenheimer is assisted by two people of colour, Lungisa Kama and Eddie Myners. The Springboks have only one person of colour in the mix, assistant coach Mzwandile Stick. Again, this is an indictment of the small number of black coaches coming through the ranks at Super Rugby level. 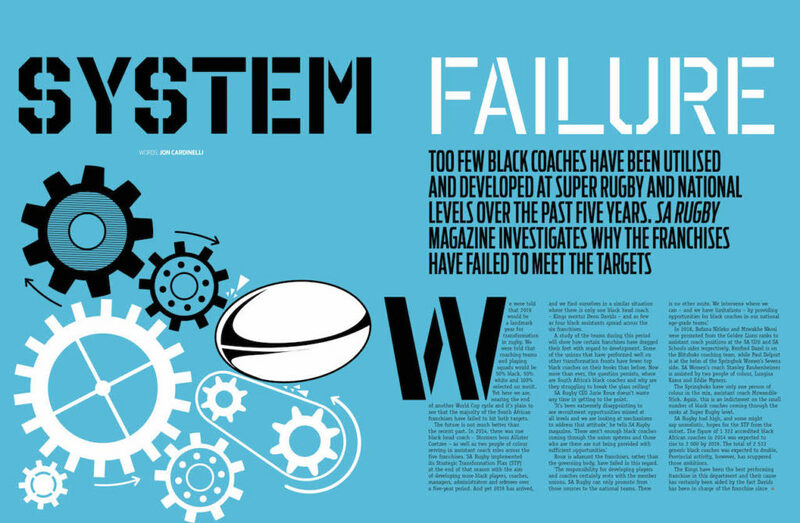 SA Rugby had high, and some might say unrealistic, hopes for the STP from the outset. The figure of 1,322 accredited black African coaches in 2014 was expected to rise to 3,000 by 2019. The total of 2,533 generic black coaches was expected to double. 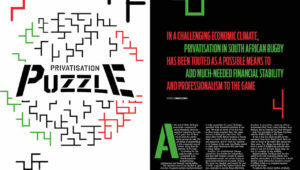 Provincial activity, however, has scuppered those ambitions. The Kings have been the best performing franchise in this department and their cause has certainly been aided by the fact Davids has been in charge of the franchise since 2016. That said, the Eastern Cape franchise has included at least one black assistant coach in each Super Rugby campaign and subsequently each Pro14 tournament. The Cheetahs, Lions, Sharks and Bulls have been at the other end of the representation scale. 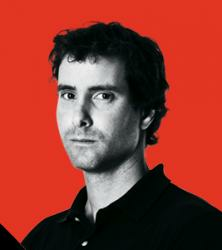 The central franchise used Oersond Gorgonzola as an assistant coach in 2014 and 2015 before he was released the following year. Like all the South African teams, the Cheetahs have worked hard to transform their wider management group, their administration and their coaching staff at the junior levels. They haven’t employed a person of colour on the senior coaching team for nearly four years, though, and that is the problem. ‘We are working on a process that should allow us to develop more coaches and reach the targets as soon as possible,’ a Cheetahs spokesperson tells SA Rugby magazine. The next statement says a lot about the dearth of experienced black coaches in this country. Lions CEO Rudolf Straeuli admits the Johannesburg-based franchise has a lot to rectify on the development front. The senior coaching staff was lily-white between 2014 and 2017. It was only after Joey Mongalo joined the team as a defence coach in 2018 that the Lions showed some intent to transform. Like Straeuli, Sharks CEO Gary Teichmann feels financial constraints are hampering the rate of transformation at his union. ‘We support the Strategic Transformation Plan and acknowledge that we are below the target set for Super Rugby coaching teams,’ he says. Between 2014 and 2018, the Sharks were the only franchise that had no black coaches on their senior staff. Former Bok backline coach Ricardo Laubscher joined Rob du Preez Snr’s coaching team before the 2019 season. ‘We are disappointed that we have not been able to meet the requirements,’ adds Teichmann. ‘However, it is our endeavour to comply and there is a plan through our high-performance structures to gradually bring coaches of colour through the system and into the senior coaching ranks. In addition to the high-performance programme, we have also implemented a programme where some of our players are being mentored and provided with the resources to upskill themselves in preparation for coaching, once retired. The Stormers led the way in this department for a long time when Coetzee was at the helm of the Super Rugby side. 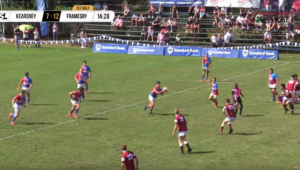 But with defence coach Paul Treu on the outer during the early stages of 2019, the Stormers went into the tournament without a black coach on their staff for the first time in this five-year period. The Bulls were yet to respond to a request for comment at the time of going to print in early-March. Many felt the Pretoria-based franchise missed a big opportunity to appoint a black coach when John Mitchell left the union to take up a post with England in late-2018. Deon Davids told this magazine in an interview last year that he would seriously consider leaving the Kings if the right opportunity presented itself. At that point, there were whispers of Davids ascending to the Bulls’ throne. In the end, he was overlooked and the Bulls opted to elevate Pote Human, who had served as an assistant to Mitchell. To paraphrase Roux, it was disappointing to see such a clear-cut recruitment opportunity being missed. Where are the black coaches who were previously involved with the six franchises during this period of inquiry? Gorgonzola continues to coach the Griffons in the Currie Cup First Division. After working with the Bulls backs in 2016, David Manuel moved down the ranks to coach the U21 Blue Bulls side in 2017 and the Tuks Varsity Cup team in 2018. He has since been replaced by former Bulls boss Nollis Marais. Kicking specialist Vlok Cilliers enjoyed stints with the Bulls and Stormers before dropping out of the South African system to work as a private consultant in France and Japan. Vuyo Zangqa left his post at the Kings to coach the Germany Sevens side. Coetzee is with the Canon Eagles in Japan after an unsuccessful tenure with the Boks, while Stick, formerly with the Kings, is part of Rassie Erasmus’ national coaching team that will travel to the World Cup later this year. You would think that more black coaches would have been backed at the level below Super Rugby. And yet a look through the Currie Cup coaching teams of the past five years confirms that further opportunities have been missed. Only Coetzee (Western Province in 2014) and Ryan Felix (Eastern Province in 2017 and 2018) have served as head coaches in the Currie Cup Premier Division since the STP was introduced. There have been some notable successes for black coaches at the junior levels. Nazeem Adams guided the WP U19s to the title in 2014, while former Stormers assistant coach Jerome Paarwater led the WP U21s to glory in 2017. Mongalo was at the helm when the Golden Lions won the U19 tournament in 2016 and 2017, while Nhleko was in charge of the U21 side that triumphed in 2016 and 2018. Stick coached the EP U19 team to the title in 2015 before getting his chance with the Boks in 2016 and again in 2018. Jonathan Mokuena, who doubles as the Leopards coach in the Currie Cup First Division, steered Pukke to their maiden Varsity Cup title in 2016. Is there a bona fide plan for these men, though, as well as others who have the potential to step up at the higher levels? Are the franchises paying lip service when they speak about plans to develop black coaches and meet SA Rugby’s targets in the next World Cup cycle, or will they continue to spurn such opportunities? Time will tell, and the country will be watching. Roux believes the situation may improve across the board in the coming years and that SA Rugby may be in a position to help the franchises a bit more. ‘It is a key focus area for the rugby department. We can offer courses and placements in our structures for emerging coaching talent once it has been identified at provincial level, and seek the significant funding we need to properly roll out our long-term coaching development plan,’ he says. Three black head coaches have been produced at Super Rugby level since the tournament’s inception in 1996 – Chester Williams (Cats in 2004 and 2005), Coetzee and Davids. As the numbers of the past five years confirm, the STP has not resulted in any significant growth in this area. Black coaches have been overlooked and in some cases lost to the senior system. As Roux says, not enough has been done by the franchises to develop coaches at the senior levels or increase the total number of accredited coaches across the board. It’s hard to see where SA Rugby and the six franchises might be with regard to transformation at the end of the next World Cup cycle in 2023. Davids has been spoken about as a possible successor to Erasmus when the latter focuses on his role as his director of rugby after the 2019 tournament. Other than Davids, there are no black head coach candidates who have enjoyed the necessary exposure at Super Rugby or Pro14 level in recent years. 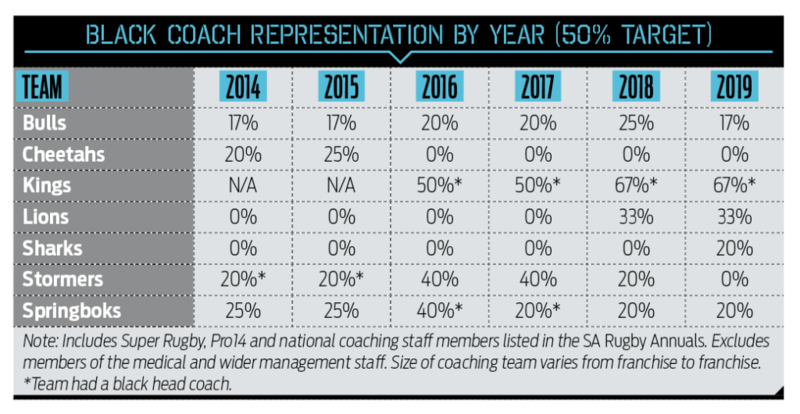 Too few black coaches are receiving opportunities as assistants in these competitions, and it seems criminal that the Currie Cup Premier Division has produced only two black head coaches over the past five years. This is an issue that Erasmus, in his capacity as director of rugby, will have to tackle more aggressively in the coming years. South African rugby needs to see better results at the lower levels sooner rather than later if it hopes to see real transformation at the top.